At InkTonerWeb.com, our Samsung premium quality drum units, ink cartridges, & toner cartridges have a One Year Guarantee. At InkTonerWeb.com, our premium quality compatible drum units, ink cartridges, & toner cartridges for use in Samsung printers have a One Year Guarantee. All compatible drum units, ink cartridges, & toner cartridges for use in Samsung printers sold by InkTonerWeb.com are guaranteed to be of premium quality. We have a one year warranty on our compatible drum units, ink cartridges, & toner cartridges for use in Samsung printers. 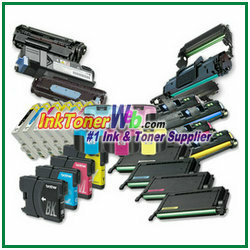 The compatible drum units, ink cartridges, & toner cartridges from InkTonerWeb.com for use in Samsung printers are manufactured in ISO-9001 factories. From empty cartridges selections, to parts replacements, to product quality examinations, every compatible drum unit, ink cartridge, & toner cartridge are manufactured strictly under the ISO-9001 procedures; unlike other companies, we do not sell compatible ink & toner cartridges which are just simply refilled. Our compatible drum units, ink cartridges, & toner cartridges for use in Samsung printers are guaranteed to provide the best quality and the best reliability. Purchase premium compatible drum units, ink cartridges, & toner cartridges for use in Samsung printer models from the #1 ink cartridges, & toner supplier - InkTonerWeb.com. Your online shopping experience will be the most enjoyable. Order your compatible drum units, ink cartridges, & toner cartridges for use in Samsung printers fast! InkTonerWeb.com is the Best Partner for You and Your Samsung Printer. At InkTonerWeb.com, we strive to provide top quality compatible printer cartridges, printer photoconductors, and other printing supplies for use in Samsung printers at an affordable price. All our compatible printer cartridges & supplies for use in Samsung printers are manufactured in ISO-9001 certified factories which means that all ink cartridges, toner cartridges, & drum units are guaranteed to provide the best quality and the best reliability. No matter which type of Samsung laser printers, inkjet printers, multifunction printers, all-in-one printers, fax machines, or copiers that you may use, InkTonerWeb.com can satisfy all your printing needs with our wide selection of high-quality compatible ink cartridges, toner cartridges, and drum units for use in Samsung printers. All orders made before 3PM EST on Monday - Thursday will usually be shipped out the same day. Our fast shipping services will reach most cities of the 48 Continental States of US, such as Atlanta, Austin, Boston, Chicago, Dallas, Denver, Detroit, Houston, Las Vegas, Los Angeles, Miami, Minneapolis, New York, Philadelphia, Phoenix, Portland, Raleigh, Sacramento, San Diego, Seattle, Washington DC, and many more. Your compatible Samsung printer cartridges & supplies will be delivered fast to your door.